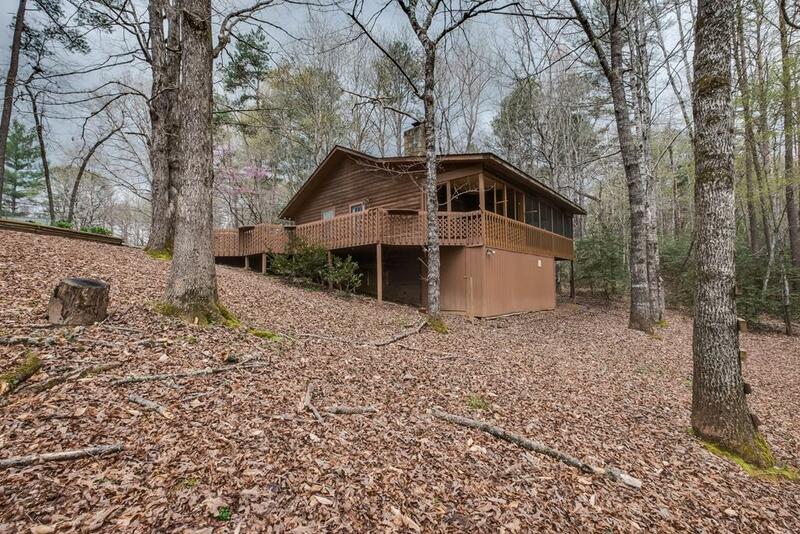 Move in ready, well maintained cabin in the woods! Home has an open floorplan with rock, wood burning fireplace and rocked kitchen island. Both bedrooms have full bathroom en suites! Interior has been completely repainted and cleaned! New roof in 2015 and HVAC unit is 6 years old! Great deck with a large screen porch to enjoy that morning cup of coffee in your pjs. Crawl space has a large storage room and there is an additional storage building on the property as well. Circle driveway. Large gentle low maintenance yard! Property is located close to the hospital, casino, John C. Campbell Folk School, and approx 15 min from downtown Murphy.